All five rockets were successful. 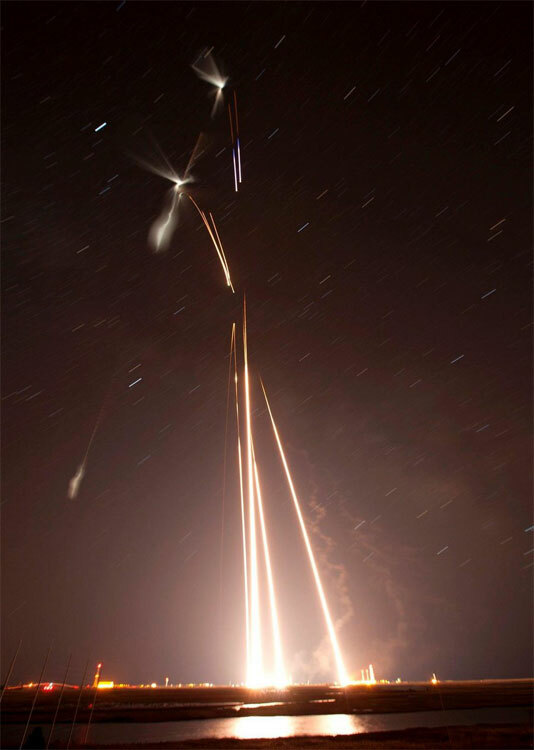 First launch at 4:58 a.m. Reports as far south as Wilmington,NC; west to Charlestown, W.VA and north to Buffalo, NY. This concludes ATREX coverage. 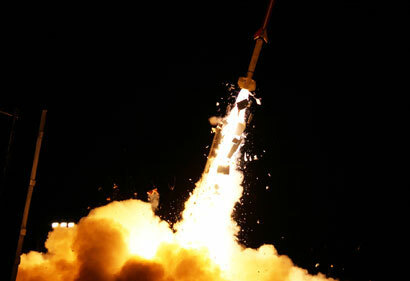 Next launch from Wallops is no earlier than late May. 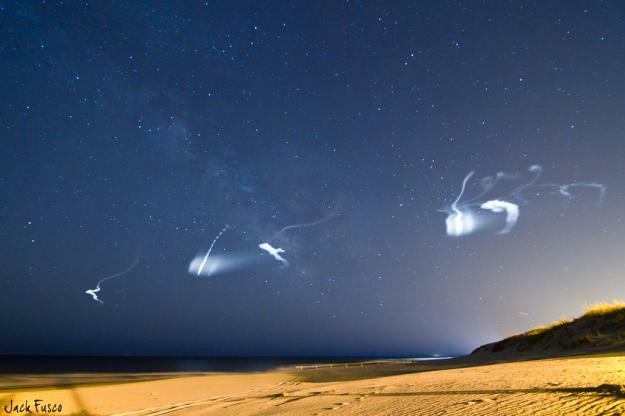 ATREX, the Anomalous Transport Rocket Experiment successfully launched five suborbital sounding rockets in the early morning hours of March 27, 2012, from the Wallops Flight Facility in Virginia as part of a study of the upper level jet stream. The first rocket launched at 4:58 a.m. EDT and each subsequent rocket launched 80 seconds apart. 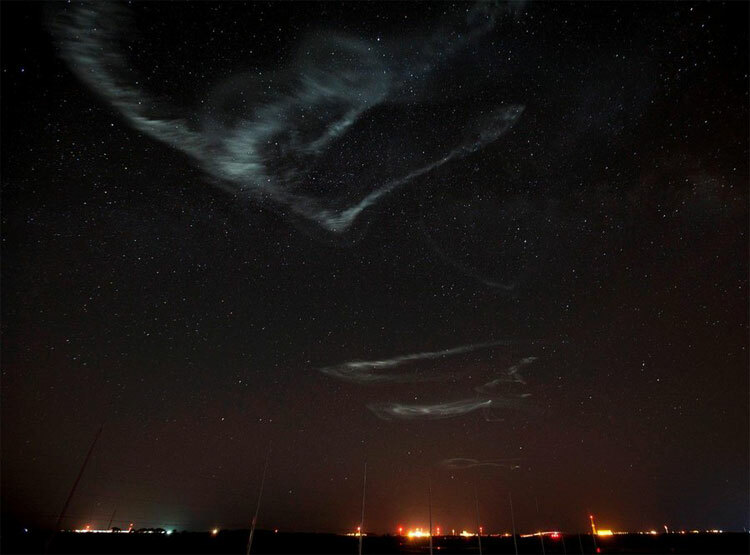 Each of the rockets released a chemical tracer that created milky, white clouds at the edge of space. 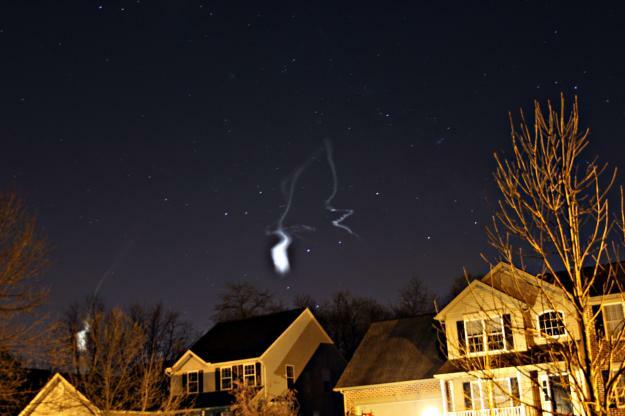 The launches and clouds were reported to be seen from as far south as Wilmington, N.C., west to Charlestown, W. Va., and north to Buffalo, N.Y. 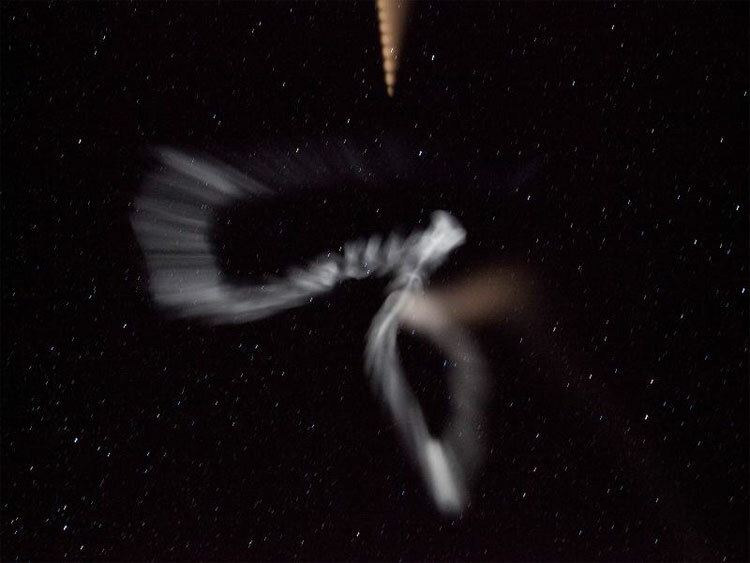 The mission will gather information that will assist researchers to better understand the process responsible for the high-altitude jet stream located 60 to 65 miles above the surface of the Earth.